In the USA Investment Center at Hannover Messe 2013, Hall 13, Booth D 11, you will find all of the resources and assistance needed to establish and expand your business in the world's largest market. This year, we are featuring 16 of the United States most dynamic regions ready to assist you with your projects plans. 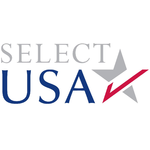 Register your interest with SelectUSA, the official investment support program of the U.S. federal government, and you have immediate access to the resources of U.S. federal, state and local agencies, institutions and partners responsible for helping you set up your business in the US.